Many blogs about microstock start by writing a dozen of regular articles and from a certain point onwards they publish only sales reports, and that’s exactly what I don’t want to do with this website. I want to be different by giving you tutorials where I teach you how to make more money with your stock footage and stock images. In this post, I will give you some information about how to check sales statistics on Shutterstock. You will land on your Dashboard. 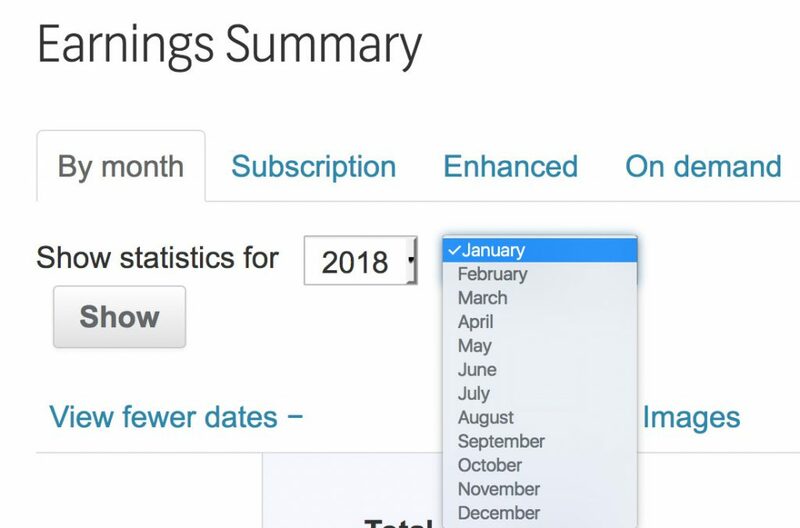 In this page, you can find your total Earnings, which are now $33,271.22 for me and the sales of the current month. And you will land on a table with a lot of information about your profits as a contributor. 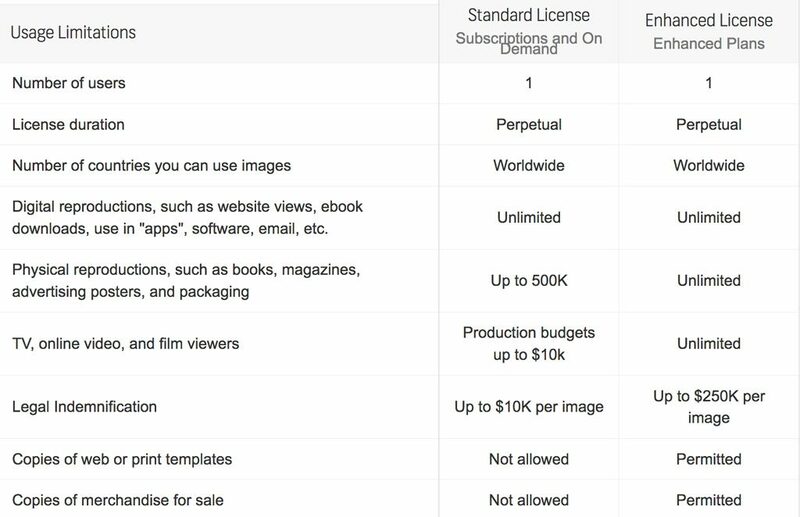 I bet you know what the first two parts are, while referrals are the earnings generated by photographers and video makers who signed up to Shutterstock thanks to you and that make you earn $0.04 for each stock image they sell and 10% of their profits for the stock footage sales. Cart Sales are clips bought individually, while Clip Packs are what other microstock agencies call subscriptions. 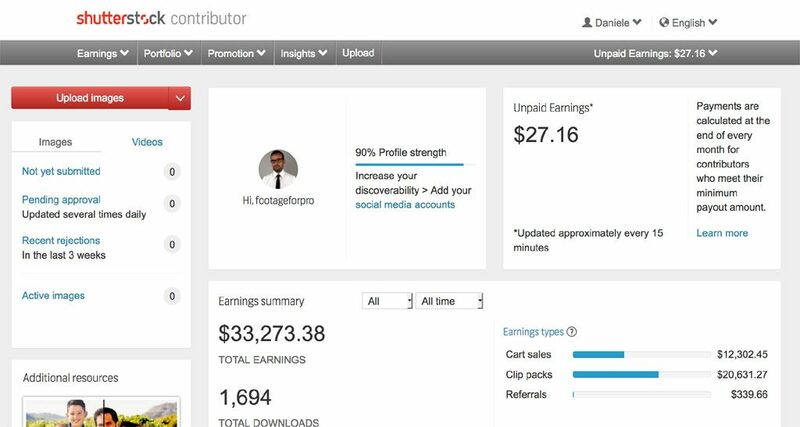 With Cart Sales, as a buyer, you can download full HD clips for $79, and as a contributor, you can earn $23.70 (30% of $79). Buyers can use the clips they buy at this prices with a standard license. There are also custom packages (unlimited downloads, unlimited users). That’s why you can find strange figures looking at your earnings. Let me tell you something I realized while doing researches for this tutorial. Sometimes I still edit videos (years ago I was the Story editor for a TV show aired by MTV Italy), and when I need stock footage, I used to buy it from other agencies that are cheaper. For the first time in my life, today I’ve pretended to be a buyer interested in Shutterstock content. To do that I had to create a new account, even if I am already a contributor (like it happens on Storyblocks, but unlike what happens at Pond5 where you can buy content with your account as a producer). I tried to simulate a purchase. When I landed on the Clip Packs page, it was almost impossible to go to the Single Purchase page. That’s why I assume they promote their subscriptions program. It’s a business strategy, and I think they have the right to do what they want to on their website. This is one of the reasons why Clip Packs generated 62% of my total sales. It’s the dream of every contributor: $105 for a single sale, which is also the reason why I wonder why stock images producer does not start shooting videos, as they sometimes earn only 1$ for selling a photo. As we’re talking about stock footage, the only difference I can figure is that you need an enhanced license if your budget is bigger than 10k. I don’t understand why someone has to pay more because he has a larger budget, at least at the supermarket nobody will ask you for more money if you’re rich. If you don’t live in a tax paradise as me, on the remaining amount of money, you must also pay taxes in your country (deduction what you paid to the American Government). The funny thing is that other American companies like Pond5 makes no withdraws and Storyblocks takes taxes from the entire income.